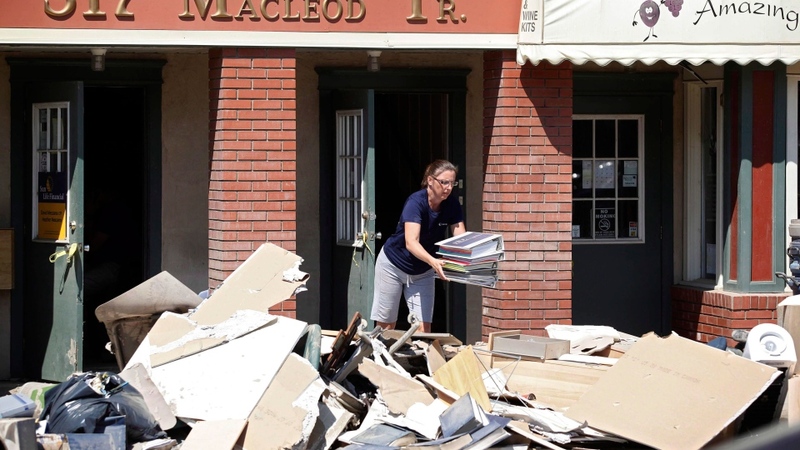 EDMONTON -- Thousands of people are still waiting for their disaster recovery claim payments a year after devastating floods hit 30 communities in southern Alberta. A report into the provincial government's response to the June 2013 disaster shows that less than half of 10,486 claims have been paid out at a cost of about $75 million. More than 2,800 claims for financial compensation are still being processed and another 3,600 claims have been declared ineligible or have been withdrawn. Municipal Affairs Minister Greg Weadick said the extent of the damage, insurance issues, flood mitigation plans and appeals have slowed the process. "The government of Alberta really has stepped up quickly to try to alleviate as much of the stress as possible for the citizens," Weadick said Thursday. "For some they are still in the process of making a decision about whether they are going to move out of the floodway, (whether) to rebuild, whether they are going to repair." The report says about 160 homeowners are eligible for a program that will pay them to move out of the flood zone. So far, 78 have accepted offers at a cost of $81.5 million. The others have expressed interest. Weadick said the government doesn't want to rush people who face such a big decision in hard-hit communities such as Calgary and High River. "I'm expecting that a significant number of those folks will accept the terms," he said. "A lot of these folks have been through incredible stress. It is taking some time for people to work through the devastation." Weadick said Ottawa has indicated it will contribute less money toward the costs of dealing with the floods. Alberta anticipated the province would be reimbursed $2.4 billion under a federal program called Disaster Financial Assistance Arrangements. Weadick said that figure could be $1 billion less due to lower-than-anticipated costs and because Alberta is offering assistance programs that fall outside of Ottawa's disaster assistance rules. Alberta estimates the net shortfall is $374 million. The government has sent a letter to Ottawa challenging that amount. "We have made decisions to support Albertans above and beyond what the program provides," Weadick said. For example, he said, Ottawa helps pay the cost of sheltering families forced from their homes by a disaster for up to six months. But some people in southern Alberta have been out of their homes for a year and will be out even longer. More details of the shortfall are expected to be released Monday when the Alberta government releases a quarterly financial update. 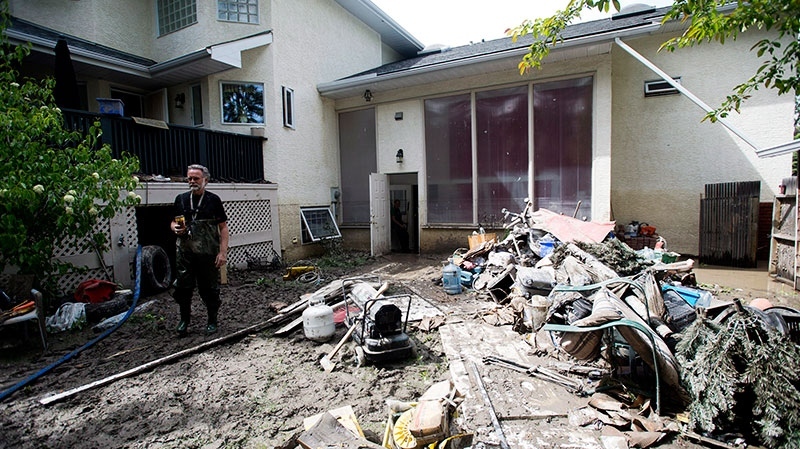 A spokesman for the federal minister of Public Safety and Emergency Preparedness said Ottawa has set aside a record $2.8 billion to cover eligible costs from the 2013 floods. Jean-Christophe de Le Rue said under long-standing rules the federal government will pay up to 90 per cent of eligible costs, and has already made a $500 million advance payment to Alberta. "The people of Calgary and southern Alberta showed tremendous strength, courage and resolve in the face of last summer's devastating floods. The government of Canada will continue to be there for them," he wrote in an email. "We look forward to the province of Alberta finishing the job and processing the remainder of their outstanding claims so that Albertans can get their lives back to normal." The province also released details of 247 flood-related contracts worth $535 million. About half of the contracts were sole-sourced. The flooding that began on June 20 forced 100,000 people from their homes and caused an estimated $6 billion in damage. 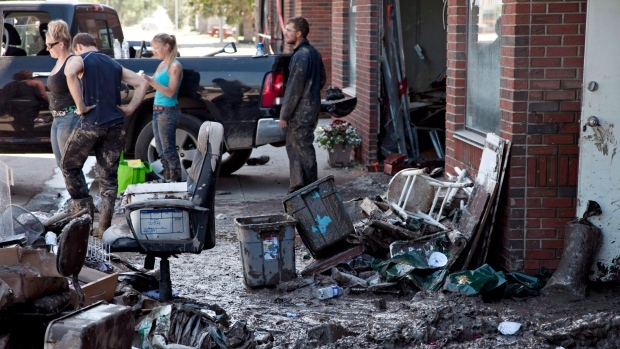 Four people drowned and a fifth died helping a neighbour sandbag. The high water damaged 14,000 homes, 80 schools and 10 health facilities, and forced the closure of nearly 1,000 kilometres of highway. Alberta's 2014 budget pledged another $1.1 billion in flood-related spending over three years, including $518 million this fiscal year. Weadick said the biggest lesson the government has learned is that it must overhaul and improve the way it responds to disasters. Alberta has said it will not renew a sole-sourced contract with a private company called LandLink Consulting Ltd. that has been handling disaster response for the province for almost 20 years. LandLink's contract for the 2013 floods was for $13 million. Much of the work in the future will be done in-house and will be co-ordinated by a committee of cabinet ministers and a team of specially trained staff, Weadick said. "We are creating a whole new method of operating our disaster relief program. We are well on the way, and if a disaster were to come tomorrow, we are well prepared to respond to it." Other sole-sourced flood contracts included $45 million to Tervita Corp. for disaster work in the High River area and $250,000 to Navigator for public relations services.